Skiers and riders came out in droves up at Stowe, too. Winter got off to a slow start in Vermont's Green Mountains, but thankfully the snow began to fly as December moved along. Vermont skiers and snowboarders are prideful East Coast skiers and their patience paid off to the tune of a couple double digit snow total storms. 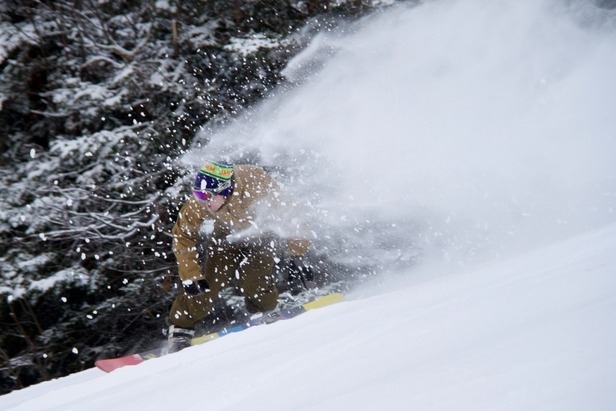 We've compiled a photo gallery of the best snow moments from Vermont in December.